Having been increasingly involved in homesteading over the past decade, I currently have the advantage of possessing a sizable thirteen acre space to work with. However, the simultaneous disadvantage is that the area has been over-farmed, with the result that much of the soil is in dire need of rejuvenation. So I find myself (willingly) in the ongoing process of experimentation, that is, figuring out what works and what doesn’t–this, while coping with a harsh West African climate that vacillates between desert-influenced dry seasons and long stretches of rainy season sogginess. My father grew up on a central Georgia farm, for better or worse, experiencing the intimate connection with the land upon which his large family’s survival depended. I was born and bred in the suburbs on the outskirts of a big city, as removed from the realities of farm life as would be expected in such a setting. The closest I came to working the land was mowing a few lawns in my neighborhood and growing some cucumbers behind my parent’s house. Living in a Mayan Indian village in southern Belize for seven years broadened my perspectives on the symbiosis between the individual and the land. As I observed the Mayan’s farming methods, I came not only to respect, but to also value the most ancient of occupations which the first man put his hand to, the cultivation of the soil. I was then further educated by a small community of old-fashioned Mennonites who lived about thirty miles away from my home in Belize. Graciously encouraged by one particular family to visit often, my co-worker and I would “get away” and spend a few days with them when we needed a break from our ministry duties. In the traditional Amish sense, these Mennonites shied away from modernity, not using anything that required electricity and attempting as much as possible to be self/community reliant. They made extensive use of the horse: for plowing fields, for transportation, even for generating power in order to run shop equipment and to operate an ingeniously-designed saw mill. At the time I didn’t have access to enough land in order to really try my own hand at what I was learning. I was only able to raise some chickens and a few sheep. I also owned horses that we used to pull a buggy—our primary means of transportation in those days. 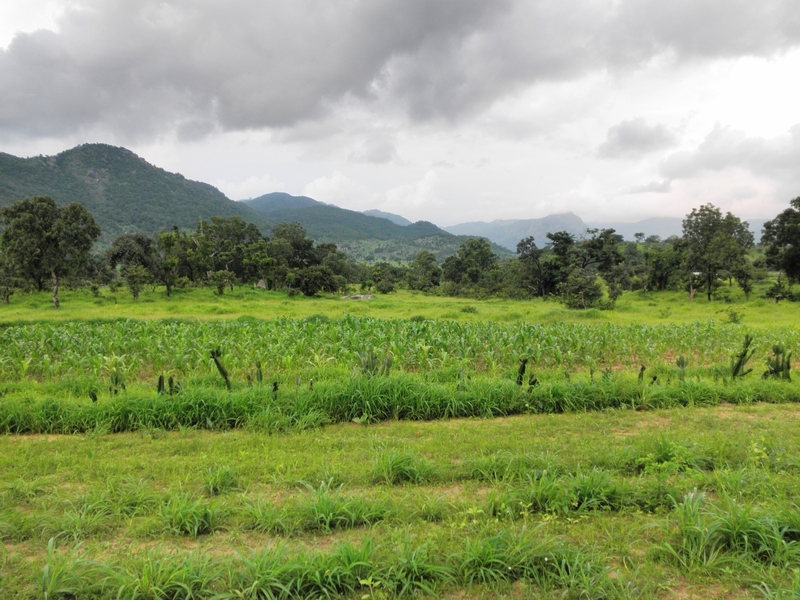 Since coming to West Africa in 2007, I’ve had the opportunity to start the homesteading process afresh with several acres, a little bit of knowledge, and a lot of vision. Lord-willing, I’ll discuss in future posts some of what I’ve gleaned, both from successes and failures, on my journey of discovering the land and attempting to live in greater compatibility with it. What makes for a good novel? Of course, the literary critics and English teachers will tell us there are certain criteria that make for a proper narrative. But I’m not so much thinking about plot development, dynamic characterization, realistic dialogue, balanced sentimentality, or the proper amount of anticipation to keep the reader turning those pages. I’ve noticed the best novels, those we call “classics,” tend to have certain elements in common. For one, the authors who have endured the test of time had something worth communicating. Writing for them wasn’t just about entertaining the audience or selling books. It was about a message burning in their bones that they felt had to be conveyed. Whether anyone agreed or even cared was beside the point. And they chose to convey their perspective through the medium of a fictional tale. Secondly, it seems to be me that the best stories are stories of redemption. There is inherent in the human psyche a yearning for the broken to be fixed, the lost to be found, the underdog to triumph and the guy to get the girl (or vice versa). We relate to characters in novels that overcome, because we all live in a world where it the odds are often stacked against us. And lastly, the best novels are those that stay with us. They in some way become a part of who we are, intertwining themselves into the fabric of our lives. I may not have ever had a particular experience, but a good writer can make me feel as if I did. What do you think? Do you agree, disagree, or have your own idea of what makes for a good novel? I’d love to hear about it. Feel free to comment!